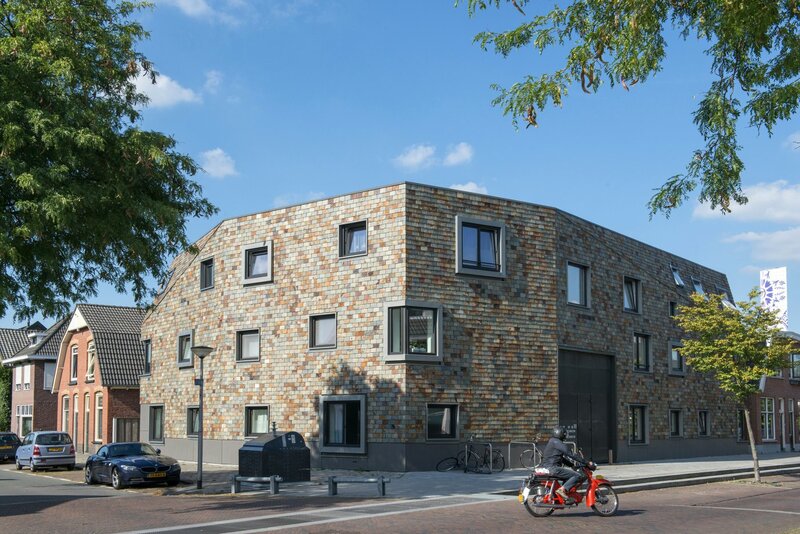 The Foundation Housing for Young People Twente (SJHT) is a housing corporation which rents out rooms and apartments in Enschede and Hengelo to young people and students between the ages of 18 and 30. 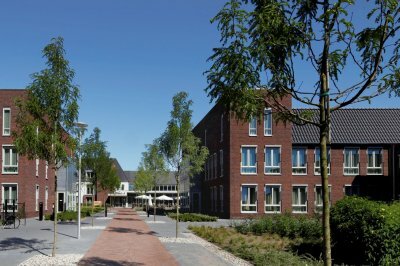 Around 2010, SJHT commissioned the construction of new accommodation in various locations in the North of Enschede, including a small complex on the corner of Walhofstraat and Kottendijk. 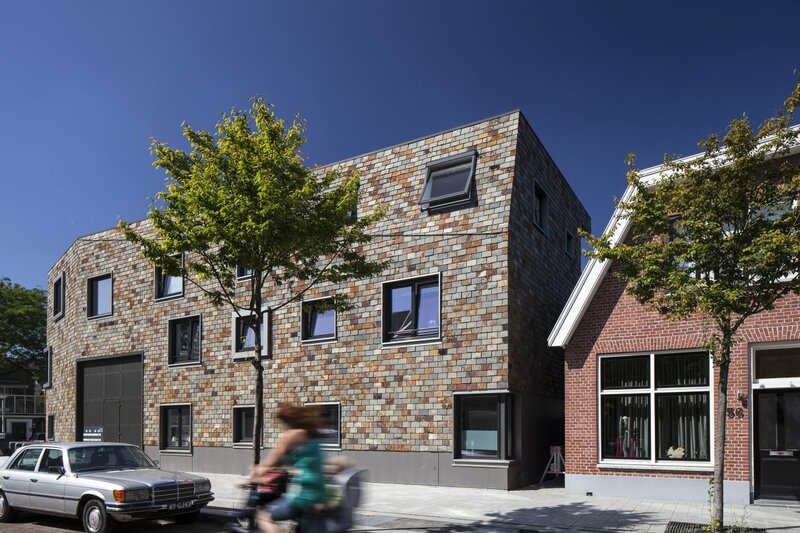 The assignment was to construct 10 to 12 self-contained apartments, an indoor bicycle storage space and one parking space for every two apartments. To be able to respond to a different target group in the future, the units had to be easily attachable and there had to be room for an elevator. To make the design financially feasible and to ensure the necessary flexibility in the future, the construction of 12 apartments proved to be necessary. For this small plot, this resulted in a three storey high new development. To make the building appear smaller and to connect it to its surroundings, the corners are cut at an angle. This results in attic rooms in these corners on the top floor. 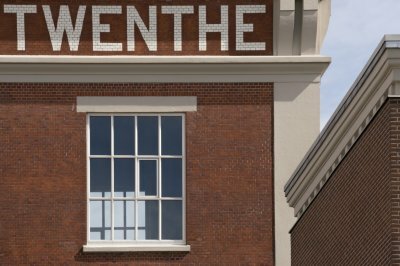 The spacious entrance hall is accessible from the Walhofstraat as well as from the courtyard and offers the possibility to install an elevator in the atrium. 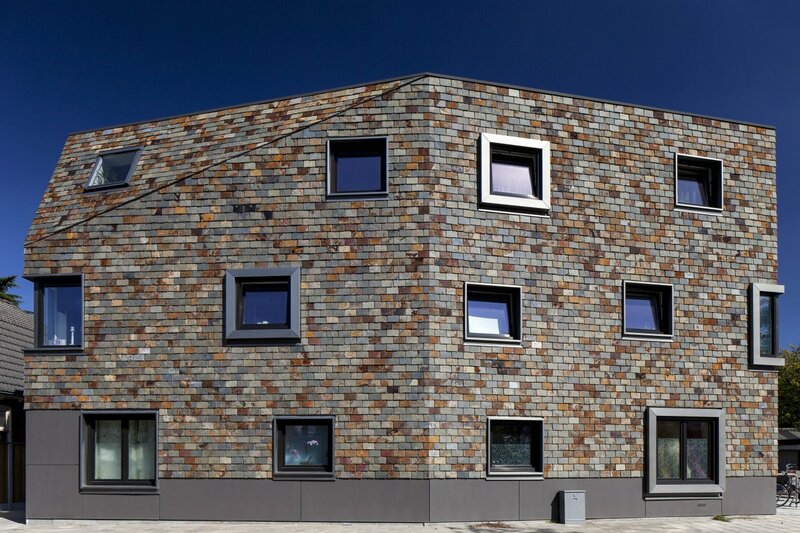 On the floors, the houses are accessed via a gallery. 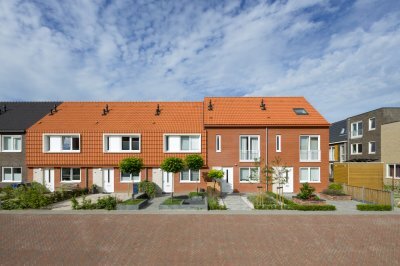 From the Kottendijk, one can access the courtyard with a bike and a car. Six parking spaces and a bicycle storage space are located here. The floor plans and windows are designed from the point of view of the user: in each apartment, the windows are in a different place, aligned with the views and the sunlight. 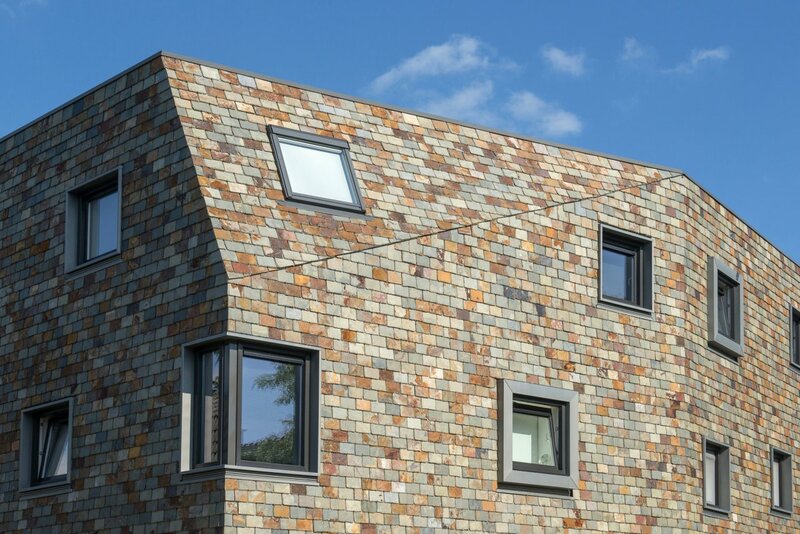 Along with the multi-coloured slate stone on the outside, this creates a varied and exceptional facade, in accordance with the aesthetic requirements for corner buildings in this neighbourhood.